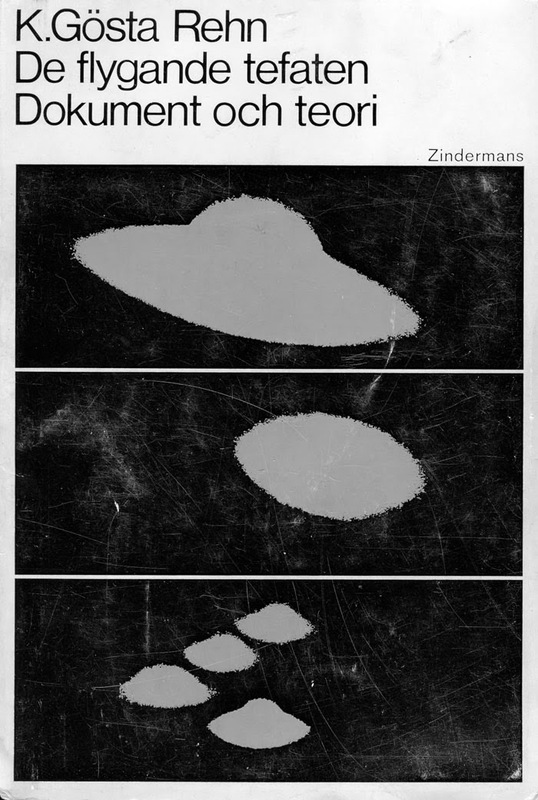 One of the failures of the scientifically oriented ufologists of the 1950s and 60s was neglecting to thoroughly investigate and document the first generation contactees and their experiences: George Adamski, Daniel Fry, Orfeo Angelucci, George Van Tassel, Howard Menger a.o. 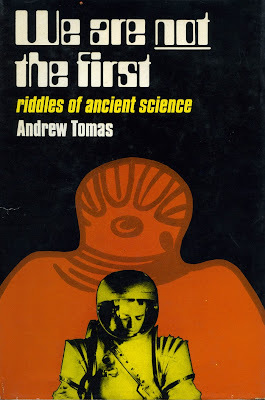 By dismissing them as charlatans and mystics lots of interesting data was lost. Open minded contactee research was not regarded as scientifically respectable by organizations like APRO and NICAP. 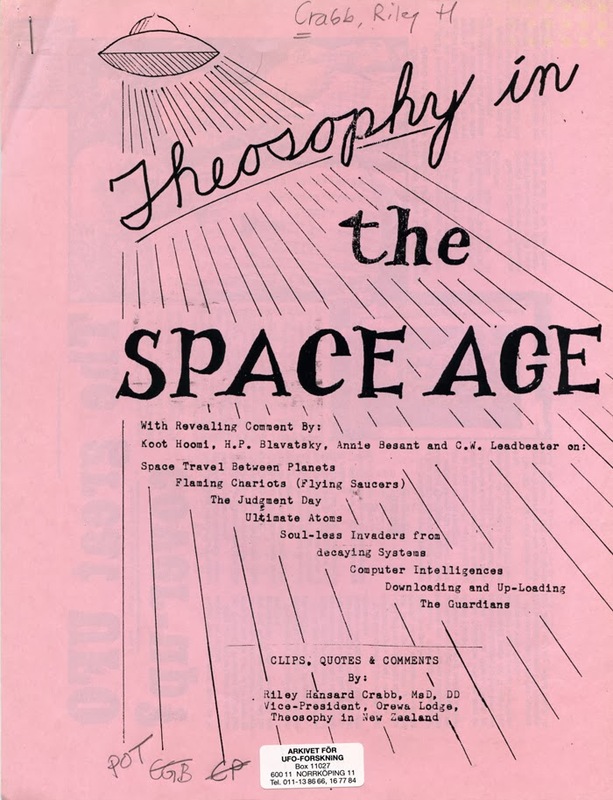 This ideological trend began to change in the 1970s with the books and theories of Jacques Vallee and John Keel. Based on years of field investigation they concluded that the contactee enigma was far more complicated and intriguing than a simple black and white issue. In spite of the research of Keel and Vallee there were no serious efforts to take a second look at the classic contactees. 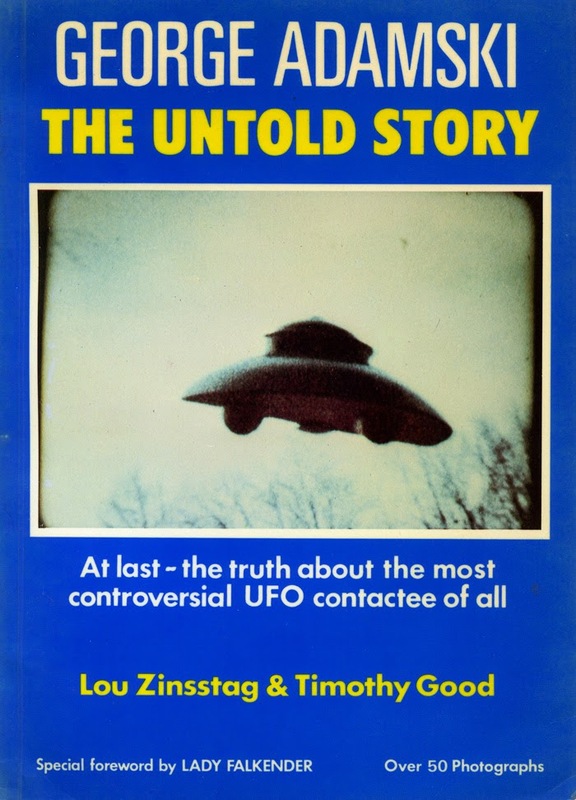 The first ufologists to accept the challenge was Timothy Good who in 1984, together with Lou Zinsstag, published George Adamski - the Untold Story. 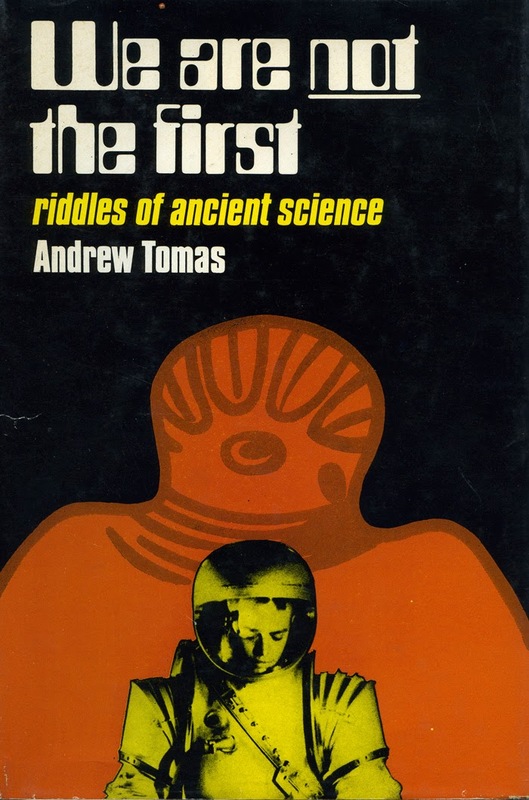 This book presented lots of new data and reopened the Adamski case. 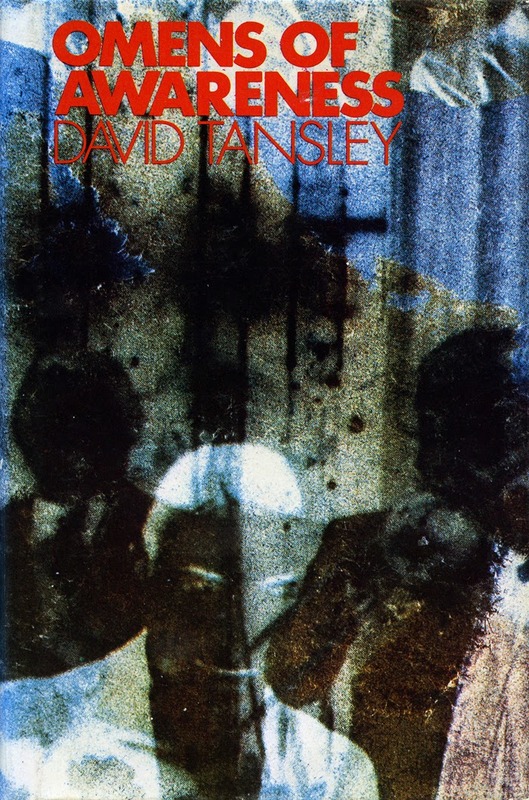 Since then Timothy Good has continued his investigations of contactee cases, resulting in bestsellers like Alien Base (1998). Earth - An Alien Enterprise is the recently published book by Timothy Good, a massive tome of 466 pages. In part this is a sequel to Alien Base with documentation of contactee cases combined with several chapters detailing the claims of various whistle blowers including some inside sources from the intelligence community. Chapter eleven, the Overlords, is a summary of the Richard Höglund case which I have documented in my book Främlingar på vår jord. Ufokontakter i Sverige (Aliens On Earth. 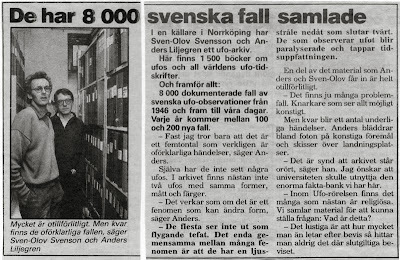 UFO Contacts in Sweden). 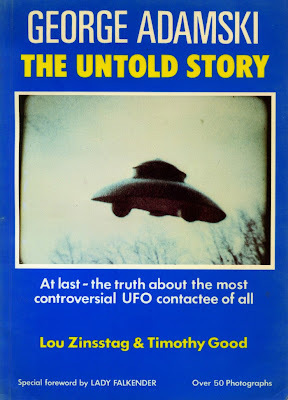 Many of the contactee cases mentioned have been published before but Timothy Good add much new interesting information, often from personal interviews and correspondence. One such example is the Leo Dworshak case. Timothy visited Leo and his wife in their home in Montana in 2004. 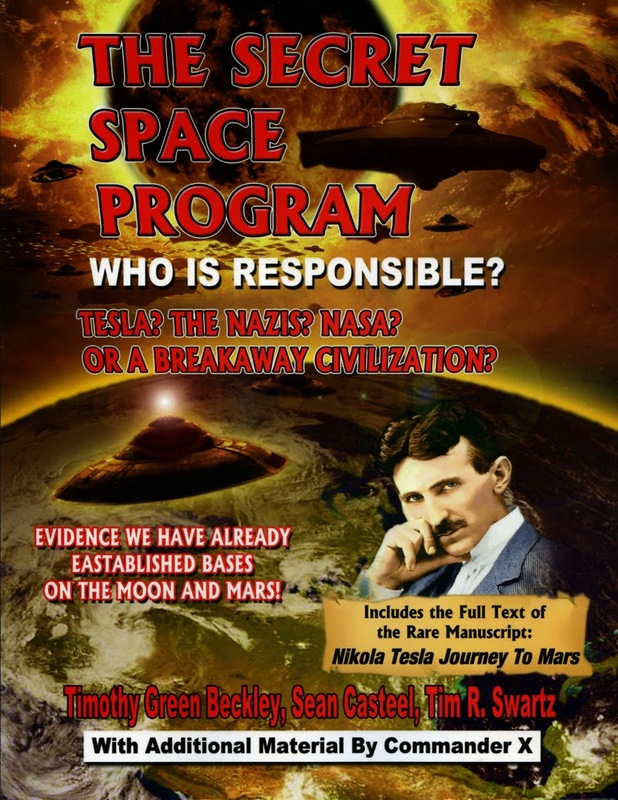 Somewhat more problematic are the chapters documenting the many rumours and stories relating interaction and liason between military officials, politicians (Kennedy and Eisenhower) and presumed space people. In these cases we usually have no possibility of checking sources. All we can say is - interesting if true. Here I would advocate a more critical attitude. Secret intelligence sources are notoriously unreliable. Much of this data could simply be desinformation and cover stories for various black projects. One chapter is devoted to the exceedingly complicated and controversial Amicizia case from Italy. "The most extraordinary case I have ever investigated". But Timothy Good also admits that it is "outrageous, farcical, and ludicrous". His book is dedicated "For Professor Stefano Breccia (1945-2012)", whom he interviewed on several occasions in Breccia´s home in Italy. Stefano Breccia is the author of Mass Contacts (2009) and 50 Years of Amicizia (Friendship), edited by ufologist Warren P. Aston (2013). As I have explained to Timothy Good in our correspondence this is a case of which I am rather doubtful. 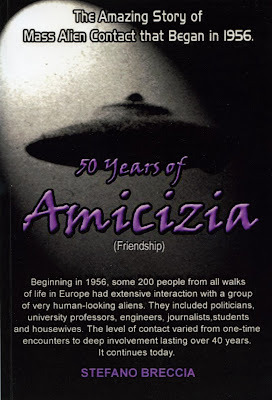 According to Edoardo Russo in Italy his group CISU has thoroughly investigated the Amicizia story and are very adamant that this is a complicated hoax involving many people in Italy, "a dark page of Italian ufology". Unfortunately they have not published the extensive CISU documentation, which I hope they will do in the near future. As we have two totally opposite views on this case it is difficult for an outsider to form any clear opinion. But I am inclined to favour the hoax theory. 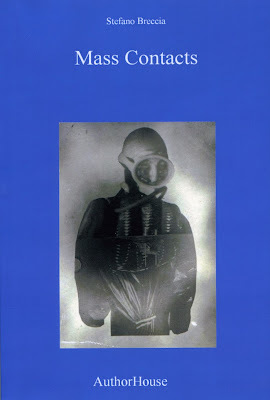 The book Mass Contacts by Stefano Breccia is a strangely incoherent volume filled with absurd claims. It does not display the mind of a scholar and professor. And if the alien visitors described by Breccia really exist they are not the kind of people I would buy a used car from. According to Breccia they sometimes give false information and the result of their activities have been that "too many people went mad, and too many have ruined their lives." 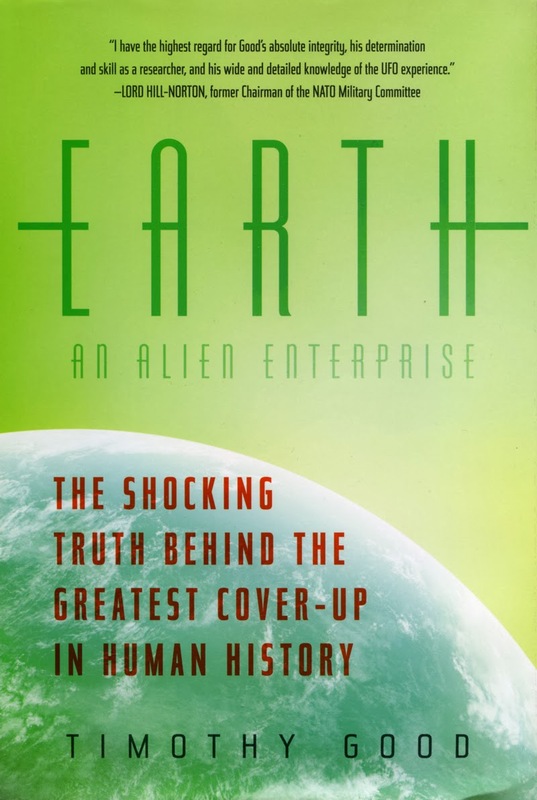 Earth - An Alien Enterprise is difficult to review as there are such a large amount of data, intriguing cases and controversial claims of different quality and credibility. 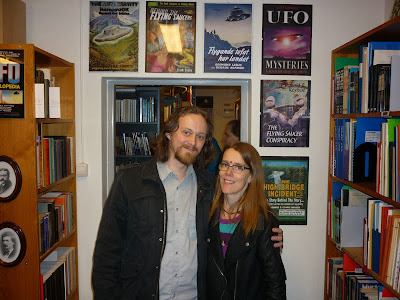 But it certainly is a cliffhanger with lots of suggestions and ideas for the serious ufologist to follow up. I agree with Timothy Good in his assertion that we are not alone on this planet. There are others here, whoever they are. And if this little planet of ours is an alien enterprise, involved in a conflict of control between good and evil, let´s just hope the good guys work a little bit harder. 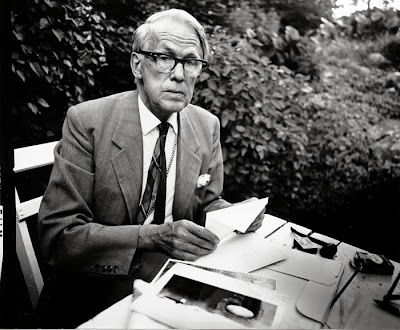 On June 17, 1989 K. Gösta Rehn died in Stockholm, 97 years old. He was the grand old man and pioneer of UFO research in Sweden. Already in 1978 he donated part of his collection of books and magazines to AFU and he told his daughter, Greta Frankel, that the remaining files, mainly consisting of correspondence, would go to AFU after his death. 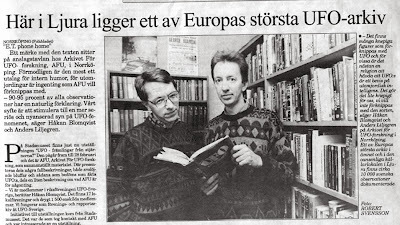 On August 27, 1989 Anders Liljegren and I went by car to his apartment in Bromma, outside of Stockholm to collect the rest of the donation. We were surprised to find only a few books and magazines. Greta Frankel told us that she had dumped all correspondence in a container in the backyard about a week ago. Disheartened we walked to the back of the house. And there was the container with 32 binders filled with invaluable correspondence with UFO witnesses, ufologists and scientists from all over the world. We were overjoyed at our luck. 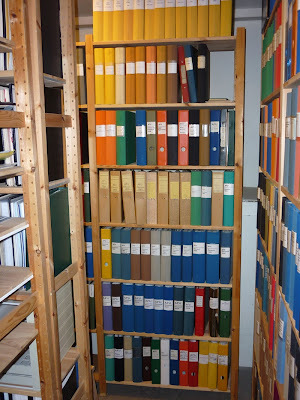 This immensely fascinating collection is now housed at AFU and all correspondence has been digitized. 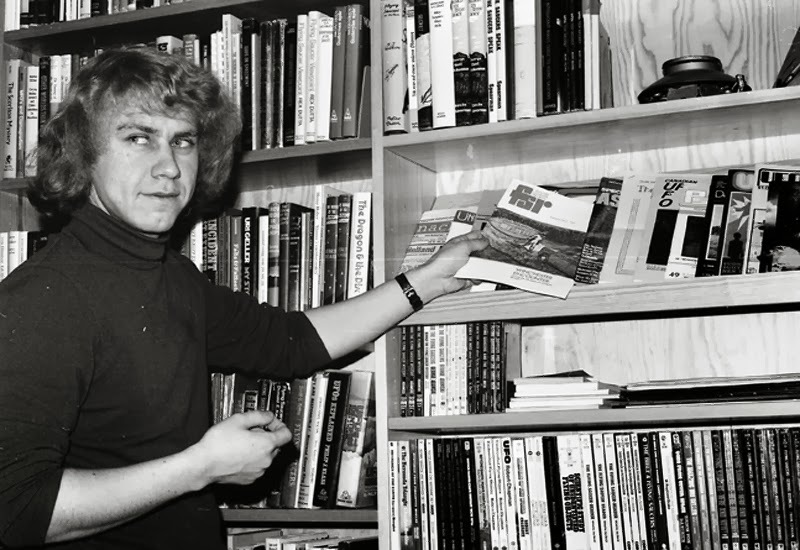 Of special interest are the many letters from Jim and Coral Lorenzen, as K. Gösta Rehn was APRO representative for Sweden. The APRO archive is unfortunately not accessible to the UFO community. K. Gösta Rehn was born in 1891 and exhibited musical talents when very young. He played violin and piano and was part of the student choir when Marie Curie received the Nobel prize in Chemistry 1911. His dream was to enter a career as consert pianist but the family economy ended his dreams and he was persuaded to study Law instead. In 1919 he received a scholarship and travelled to the United States to study Law and Economics. At Fordham University he earned the degrees of bachelor of law and bachelor of arts. He married in New York 1922 and the couple had one daughter, Greta Frankel. 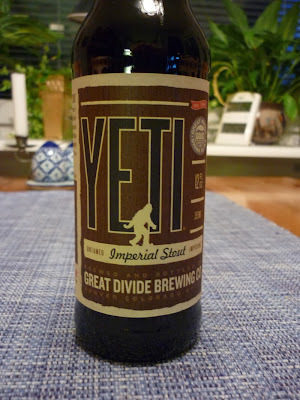 The depression of the 1930s was a hard time for the Rehn family and he was often out of work. 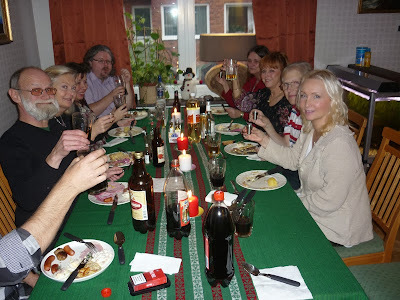 The marriage ended and he returned to Sweden in 1939. 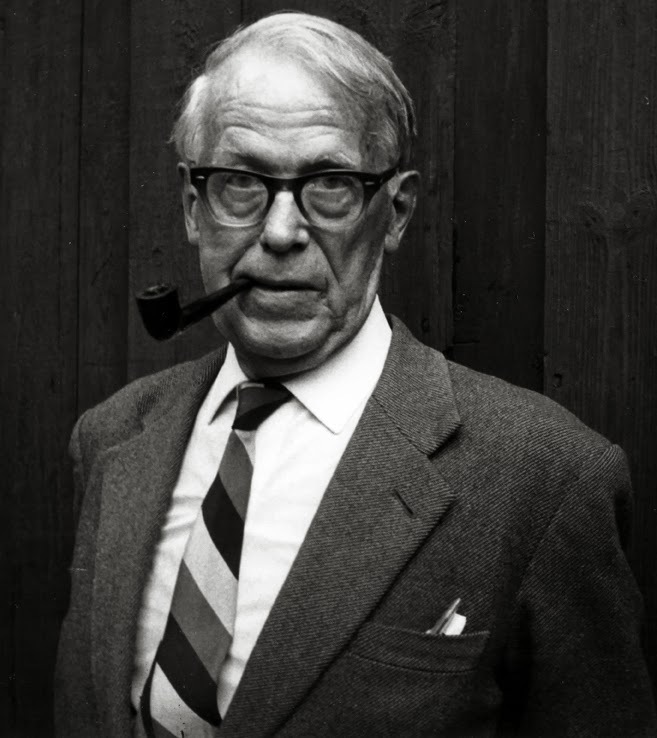 K. Gösta Rehn was an intellectual and erudite scholar. He was well acquainted with the latest works in Humanities as well as Natural Science and wrote articles on economy, neurology, sematics, philosophy and psychology. 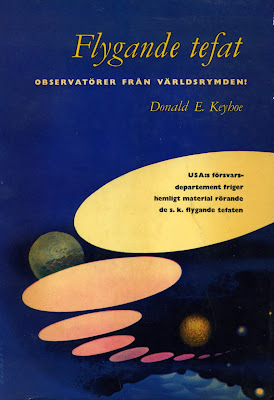 In 1954 he read Donald Keyhoe´s classic Flying Saucers From Outer Space and became intensely fascinated by the UFO enigma. 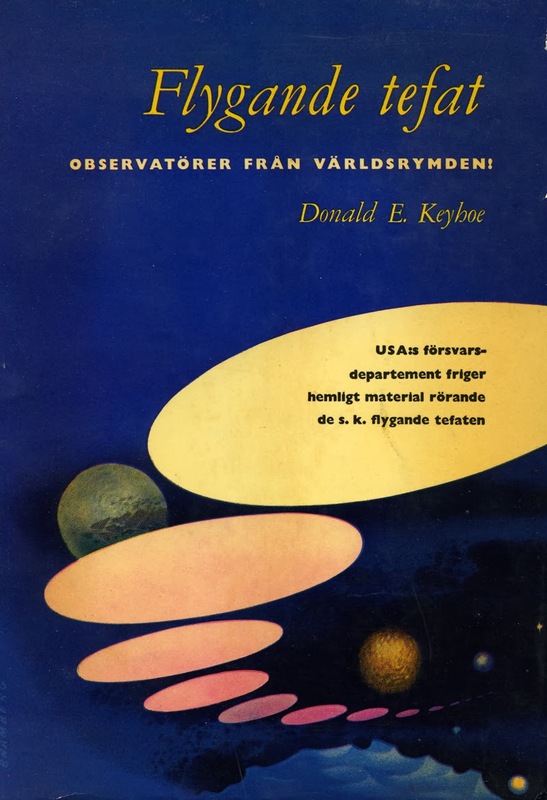 Rehn made a Swedish translation of the Keyhoe book which was published in 1955. 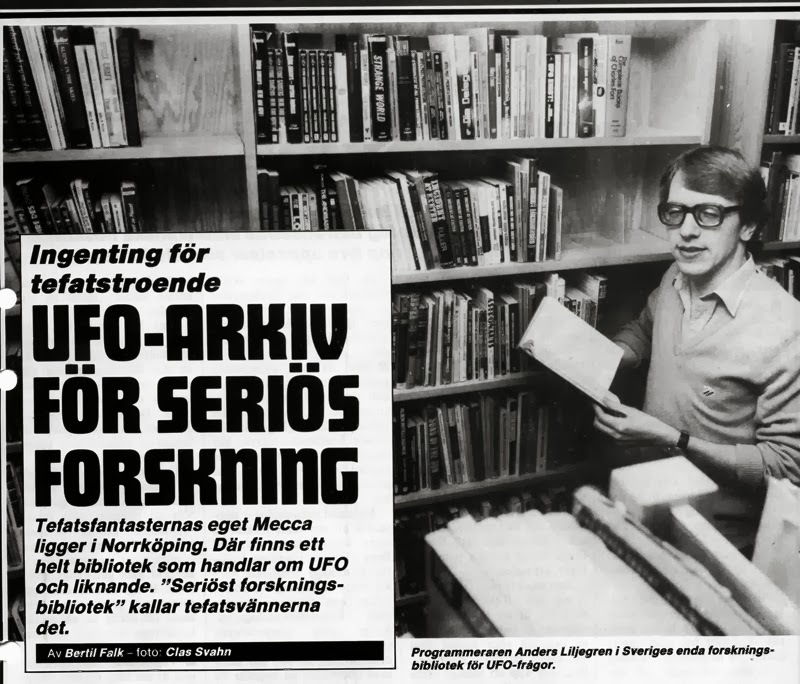 In spite of his aversion to religion and occultism (he was a hardline atheist, materialist and socialist) he became an active ufologist, field investigator and Swedish representative for Aerial Phenomena Research Association (APRO) in 1958. Already in 1960 he had the manuscript to his first book ready but it was not published until 1966. De flygande tefaten. 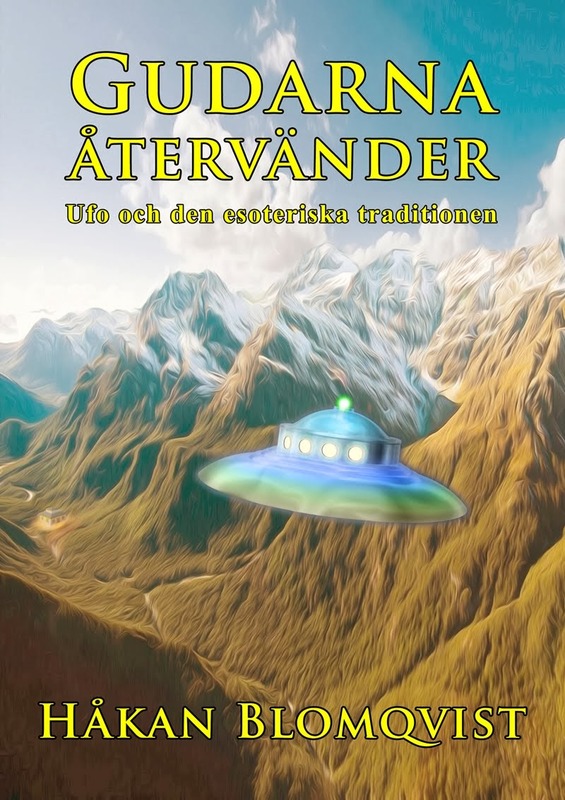 Dokument och teori (The Flying Saucers. 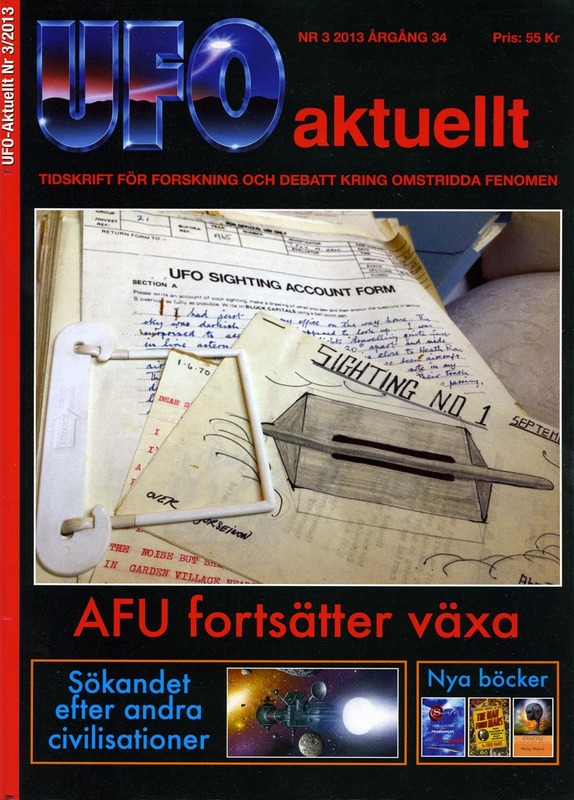 Documents and Theories) was the first scientifically oriented UFO book published by a Swedish author. 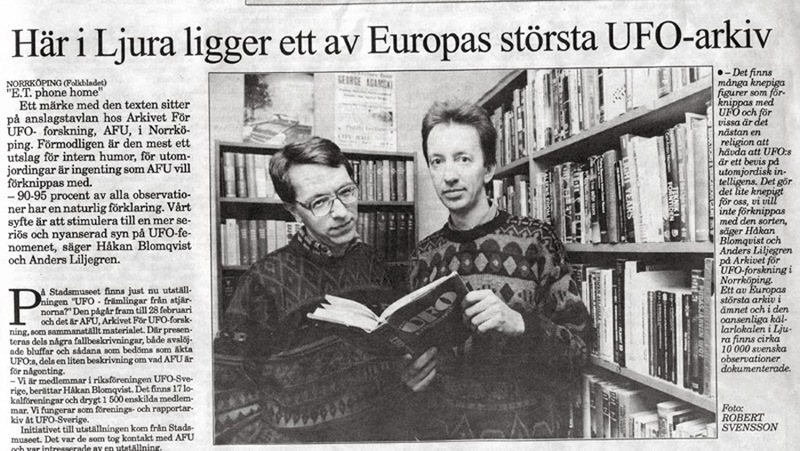 It was very well received in the Swedish press. Rehn tried to interest scientists and intellectuals to tackle the UFO problem. In the extensive correspondence there are letters to famous Swedish scientists like Tord Hall, David Ingvar, Tor Ragnar Gerholm and Ingemar Hedenius. He made his ideological position very clear from the start: "I assert that the saucers are actual craft. That they come from outer space is the only reasonable hypothesis." Rehn was also convinced there was a cover-up by the CIA. 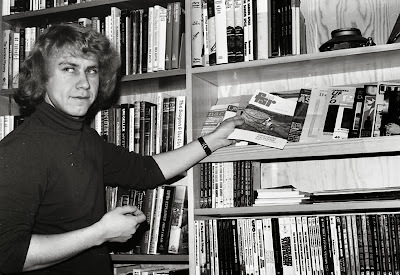 There was three more books from the pen of K. Gösta Rehn. 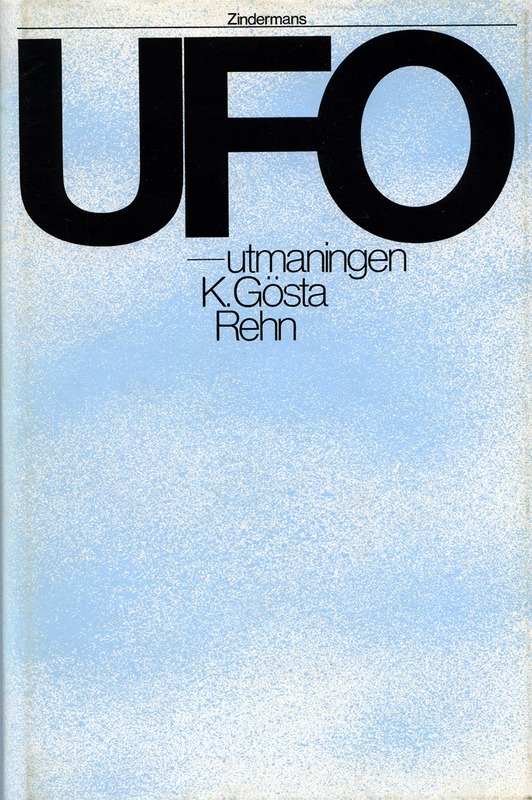 UFO-utmaningen (The UFO Challenge) was the last one published in 1976 when his bad eyesight ended his ufologicial career. 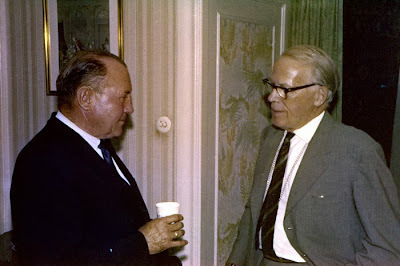 As an atheist and materialist Rehn regarded the theories of John Keel and Jacques Vallee as "a terrible blind alley". He fought furiously against anything that could be regarded as occultism in ufology. The ETI theory was the only scientifically acceptable. 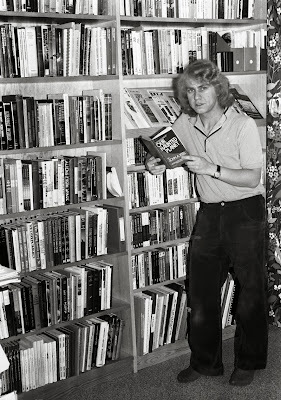 His assessment, in a letter to Coral Lorenzen, of the books by contactee Daniel Fry was "three masterpieces of drivel". But in his last book he was obviously intrigued by the reports of humanoids who could breathe in our atmosphere and walk on earth without difficulty. "Could they come from our own planet? But how?" K. Gösta Rehn was, in spite of his materialistic philosophy, a visionary. 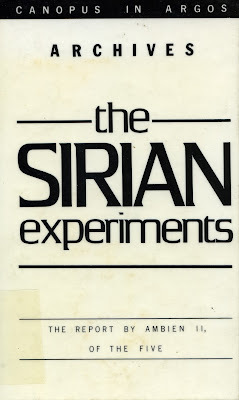 In his 1972 book he writes: "The saucers give us inspiration, a promise of contact with cosmos." He used to say the he experienced the mystical in his love for music. In the Rehn files in AFU I found a document from a Swedish employer giving this assessment of his character: "Hard working but something of a dreamer". 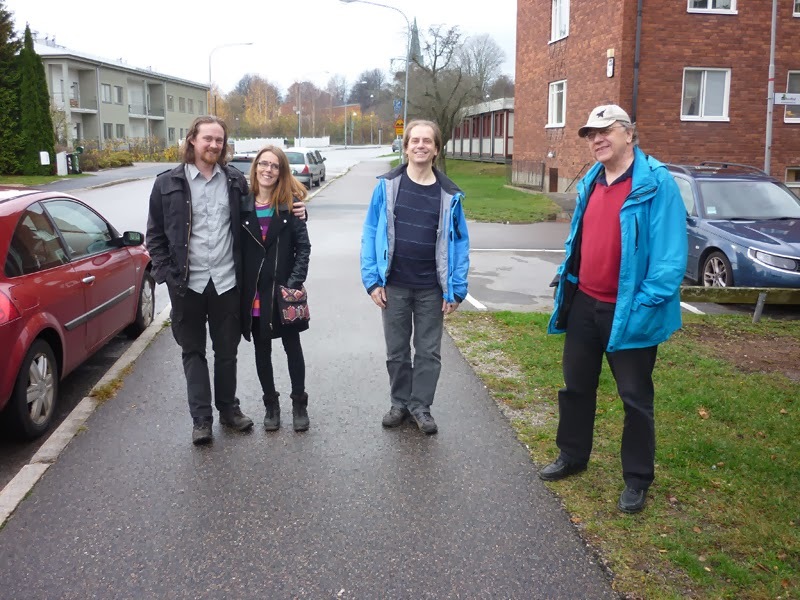 Today Anders Liljegren and I had the pleasure of showing the archive to three new field investigators from UFO-Sweden: Sofia and Tomas Cedvén and Thomas Michanek from Linköping. 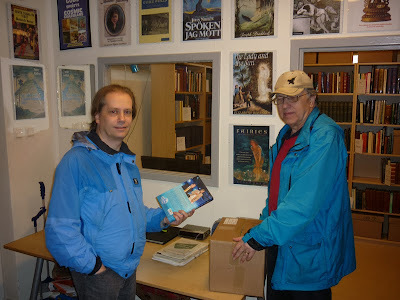 They arrived at noon together with UFO-Sweden board member Johan Gustavsson. 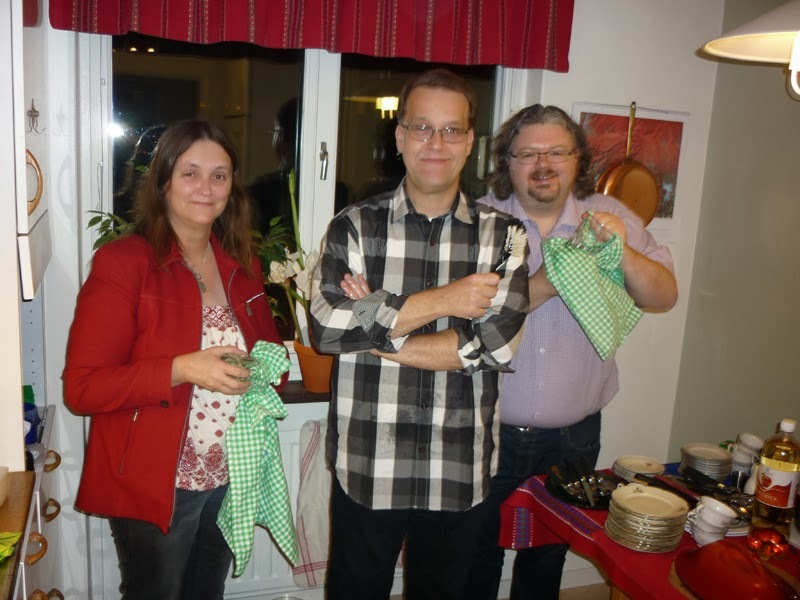 Tobias Lindgren, head of the report centre was also part of the welcoming committee. Sofia, Tomas and Thomas attended the UFO-Sweden field investigator training on October 18-20 this autumn. 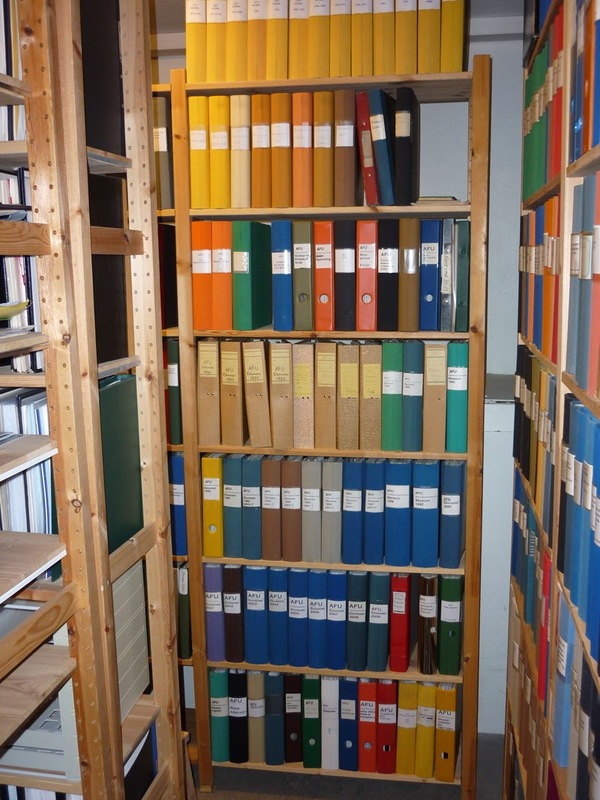 A good follow-up to this weekend course is a visit to AFU to learn of the vast amount of books, magazines and empirical data aviable to field investigators. As usual the tour started with a stroll to our two libraries: the UFO/Fortean library and the Evans library. 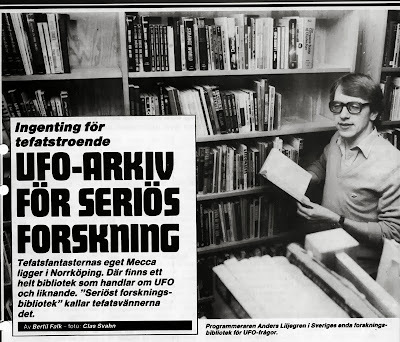 When demonstrating our large collections I often come to think of the huge difference in entering ufology today compared to 1970 when I started as an active ufologist. In 1970 there was no UFO archive, no report centre, no field investigator training. Only the recently founded national organization UFO-Sweden which was very primitive and amateurish from the beginning. Today the situation is completely different. The amount of material and data is staggering and I assume a newcomer to the field can become quite overwhelmed and get a feeling of information overload. I discussed this problem with our new field investigators. A way to handle this situation is concentrating on some special aspect of ufology or phenomena, while at the same time trying to get a good overview of the entire UFO/Fortean field. 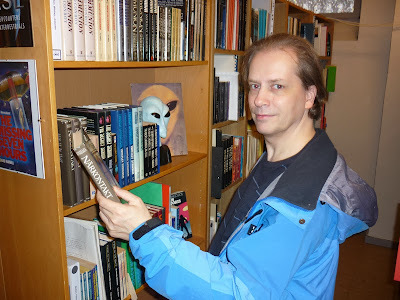 Visitors to AFU are often surprised at the large collections of books on related subjects like folklore, history of religions, parapsychology, esoterica a.o. The Evans library is a treasure trove for students of religion, philosophy, history of ideas, ethnology and all aspects of the paranormal. Thomas Michanek is presently studying ethnology and was naturally very interested in perusing our very extensive collections of books and academic journals on folklore. The tour of our facilities ended with a short presentation by Leif Åstrand, head of the AFU scanning and digitizing department. After lunch we all enjoyed a delicious Halloween cake, coffee and conversation at AFU headquarters. 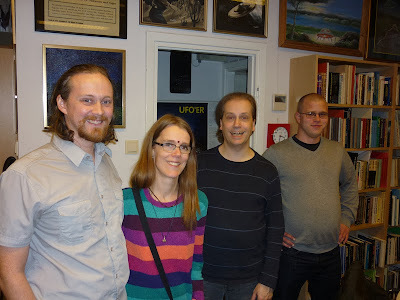 For us oldtimers it is always interesting and rewarding to meet the new generation of ufologists and investigators of the paranormal. Our hope is that they will be able to keep AFU thriving and continue the work we have inaugurated when we enter our journey to other spheres. 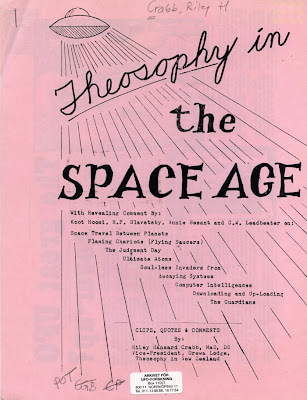 This week I received a copy of The Secret Space Program. Who is Responsible? by Timothy Green Beckley, Sean Casteel and Tim R. Swartz. 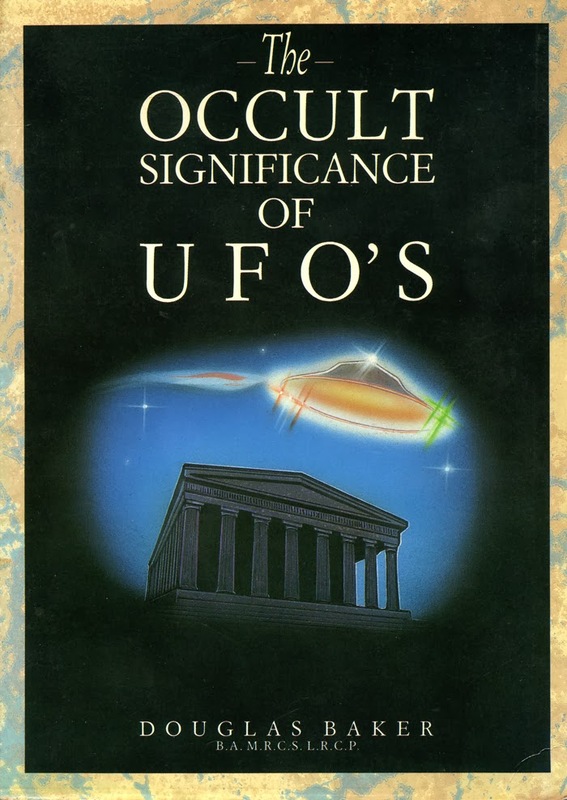 Conspiracy theories have become enormously popular during the last decades and this book is good example of all the fantastic and sometimes bizarre conspiracies associated with the UFO enigma. Some of them are intriguing like Richard Dolan´s theory of a breakaway civilization, while most of them are more or less outlandish. Conspiracy theories have followed the UFO movement from the beginning. 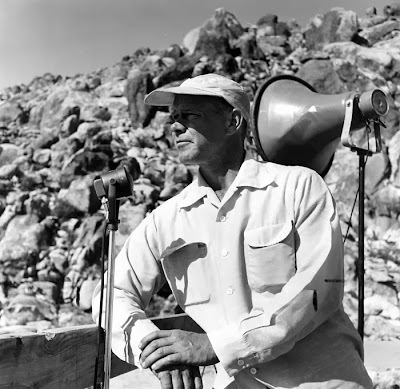 In my former blog entry I mentioned the early George Adamski correspondence files in AFU. The idea that the American military are secretly building flying saucers is mentioned by Adamski already in a letter to Miss Emma Martinelli September 30, 1951: "As far as space ships belonging to our planet is concerned, there is no doubt in my mind that we are working on something of the kind and even have some flying around on test flights, but I doubt very much if they are able to go out as far as the Moon as yet." American contactee George Van Tassel expanded on this theme and claimed already in the beginning of the 1950ies that the American military had copied crashed saucers and their anti-gravity technology and had succeeded in reaching the Moon: "I have said many times that the Air Force, and the Navy, have been flying anti-gravity ships since the mid 1950s... The "secret science" has copied the saucers that were taken to Wright Patterson Field in Dayton, Ohio in the early 1950s. I am of the opinion that these secretly built anti-gravity ships already have built a base on the back side of the Moon. We already have many of our missing scientists and industrialists working on the Moon." (Proceedings, vol. 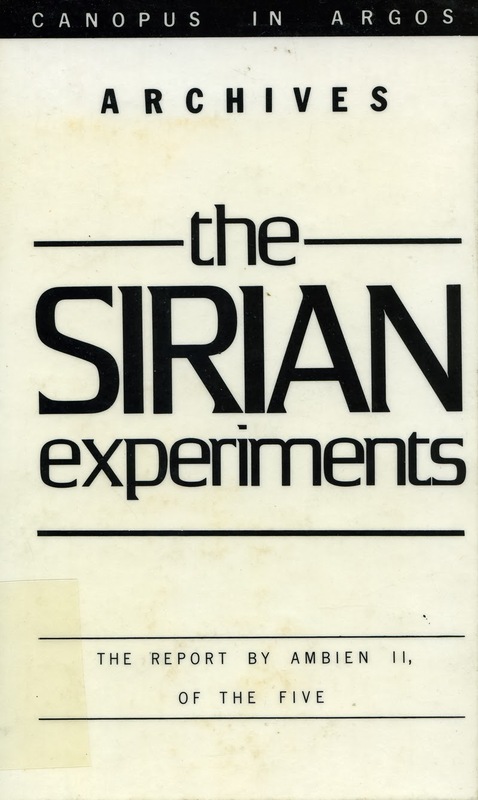 8:3, April-May 1967, p.6-7). Anyone familiar with the classic conpiracy TV program Alternative 3 (1977) recognize the ideas. 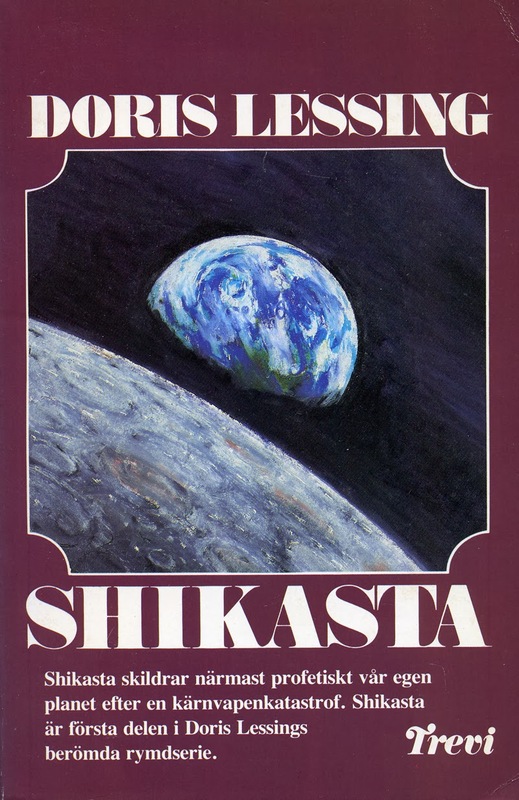 In 1978 Leslie Watkins wrote a book based on the screeplay for the television episode. As active ufologists we at AFU sometimes also get our share of suspicions of who we are actually working for. Well now it can finally be disclosed. We are not working for amateurs like CIA, NSA or the like, but for a far more secret worldwide organization - HIA - Higher Intelligence Agency.